August and September! How did they fly by so quickly? A big thank you to all the people who appeared on my blog. I got to meet some truly incredible people. Soo... the big news. I published Broken Build in the wee hours of Sept 12, 2012. However, Amazon, in their infinite wisdom determined that it was still Sept 11 in Hawaii or wherever it was just west of the International Date line, so I got credited with a Sept 11 publication date. I held a Virtual Celebration complete with ice cream sundaes and cake. Last weekend, Broken Build surged to #61 for Paid Technothrillers. Thanks to all of you for tweeting and sharing. My wonderful Beta Readers provided me with reviews and lots of encouragement. I also made progress with my next novel, Hidden Under Her Heart. I'm 67K words into my first draft and doing research on triathlons and trying to recall my pregnancy experiences. Who remembers how much kicking you can feel at 19 weeks? 22 weeks? I'm really loving my two characters, Maryanne Torres and Lucas Knight. What a pair! Here's a sneak preview of the cover. 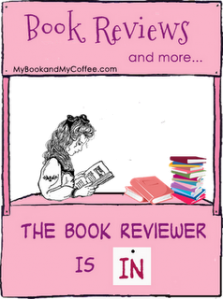 How did I do with Book Reviews I promised? Last time I featured six books on my "to review" list and I'm happy to report that four of them have been read and reviewed: Deep as Bone, Growing Up Country, Wedlocked, and At Road's End. The following two books from last report stay on my list. I swear, I'm excited to read them, but there's this thing called time that keeps eluding me. I'm trying, really I am. Just for reference. I started Diana Gabaldon's Voyager in July 2011, left Jamie in the cave for over a year and have now left him talking to Sir John Gray on page 148. I'm excited to add the following three books to my stack. They look promising. I swear, you are one of the best bloggers! And I can (not so)proudly say I am not! Not to mention an awesome reviewer. You already know I've purchased some great reading after considering your review. And of course, I want to read Chantel's Always and Forever. Lauren Stewart's Hyde is crawling under my skin, tempting me because I've already purchased it. And then I have Jennifer's Life on Edge! Not to mention a small collection I need to catch up on. I NEED TO FINISH MY OWN NOVELS!!! UG! Hmm. And read all these fantastical novels! I know what you mean. Between writing, critting, and blogging... I just wanna read. This is how I got started, addicted to reading. Did you know I actually read Tolstoy's War and Peace in high school? So excited for you, Rachelle! 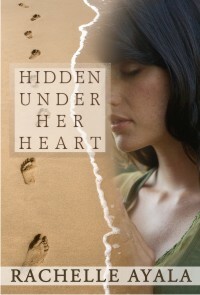 You first two books are awesome, and I can't wait to read Hidden Under Her Heart. You truly are an amazing person and such a talented author! And thanks, Melisa, for the mention of my book. I have Twenty Weeks on my Kindle, patiently waiting it's turn at the top of my TBR pile. If only we had more hours in the day, right? exactly. so many books, so little time! I think that's my new motto.